Our watch repair workshop with an in-house watchmaker is based at our W.E. Clark & Son jewellers branch. 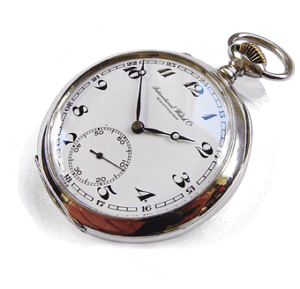 We are able to accept watches for repair from across the world via our postal watch repair service. If you are based in the UK we offer a Fully Insured FREEPOST Royal Mail Special Delivery Service. Alternatively you can bring your watch straight to our Lewes and Uckfield showrooms in East Sussex. Our watch repair work shop with in-house watchmaker is based at our W.E. Clark & Son jewellers branch. We are able to accept watches for repair from across the world, via Royal Mail Special Delivery and via visits to our Lewes and Uckfield shops.